Republic of Korea (DPRK) held a first, historic summit in Singapore on June 12, 2018. Having acknowledged that the US-DPRK summit -- the first in history -- was an epochal event of great significance in overcoming decades of tensions and hostilities between the two countries and for the opening up of a new future, President Trump and Chairman Kim Jong Un commit to implement the stipulations in the joint statement fully and expeditiously. The United States and the DPRK commit to hold follow-on negotiations, led by the US Secretary of State, Mike Pompeo, and a relevant high-level DPRK official, at the earliest possible date, to implement the outcomes of the US-DPRK summit.President Donald J. Trump of the United States of America and Chairman Kim Jong Un of the State Affairs Commission of the Democratic People's Republic of Korea have committed to cooperate for the development of new US-DPRK relations and for the promotion of peace, prosperity, and the security of the Korean Peninsula and of the world. By any measure, India’s electric vehicle (EV) aspirations are steep from where we stand today, but they have sparked remarkable interest and action in policy, industry and research arenas. A push to mandate all vehicles sold by 2030 to be electric seems to have tempered, but high EV penetration scenarios remain likely. While costs and consumer choice remain fundamental factors, there are three additional key issues for realising any growth: (1) manufacturing; (2) grid capabilities; (3) charging infrastructure. In this paper, we focus on points (2) and (3). The Modi Government has time and again showed adherence to the rules-based order in international forums. What Modi said at the Dialogue was the reiteration of this principle without directly pointing a finger at China Shangri-La is usually associated with a place in the Himalaya immortalised by James Hilton in his 1933 novel, the Lost Horizon; a mystical valley where people live in harmony under the compassionate direction of a lamasery: In other words, a paradise on earth, a high-altitude utopian retreat, a permanently happy land. The Taliban’s notorious spring offensive, an annual war ritual launched this year on April 25, has resulted in a series of violent strikes across Afghanistan, demonstrating once again the resilience of the group. The Taliban claims to have carried out as many as 300 attacks on various targets in the first three days of its offensive alone (Voice of Jihad/Alemarah, April 29). Government sources meanwhile say the group had, by May 7, carried out more than 2,600 operations across the country, of which the Afghan armed forces foiled as many as 1,700 (Tolo News, May 7). The deadly violence, unleashed at a time when the Afghan government has made a considerable effort to bring the Taliban to the negotiating table, is taking place against the backdrop of a major voter registration process with parliamentary and district council elections scheduled for October. Pakistan's army will likely be happy with an ineffectual coalition government led by Imran Khan A nuclear armed state with 200m people may struggle to hold together if it is hit with a major shock Just a few years ago the smart thing to say about Pakistan was that the days of military coups were behind it. “It can’t happen,” the then US ambassador to Islamabad told me in 2012. “For one thing, there are too many TV stations. Think of how many they would have to take off air!” The ambassador had in mind the coup of 1999, the last time the army helped itself to power. In those analogue days it was a cinch. A few troops motored into Islamabad and scaled the front gate of state broadcaster PTV. The country’s only television station was under army control. Job done. David Mattingly serves on the board of directors for the Naval Intelligence Professionals and is also a member of the Military Writers Guild. The views reflected are his own and do not represents the United States Government of any of its agencies. Divergent Options’ content does not contain information of an official nature nor does the content represent the official position of any government, any organization, or any group. Summary: Since the 9/11 attacks, U.S. policy in Africa has focused primarily on defeating Al-Qaeda franchises and other violent extremists. Djibouti’s natural deep-water harbor and stable government have made it the primary transshipment point for maritime trade in Northeastern Africa and as a naval base. The People’s Republic of China’s (PRC) recent investment in the Port of Djibouti, a country with a U.S. military base, begins another chapter in geopolitical competition. Two superpowers eye each other uneasily across the Pacific—one well established after decades of Cold War conflict, the other a rising power eager to reclaim regional hegemony. Fortunately, despite profoundly different political systems, China and the United States are not as intrinsically hostile to each other as were the West and the Soviet Union—in fact, they have a high degree of economic interdependence. Still, history shows that there is often a risk of war when a rising power challenges the ascendancy of an existing one. Beijing and Washington have profound—though fortunately not comprehensive—disagreements on matters of global governance. They also have reasons to mistrust each other. Fortunately, there are historical examples of rival superpowers coexisting mostly peacefully for long periods of time. For example, see the century in between the defeat of Napoleon and World War I, during which there was no European-wide war. Roughly three thousand years ago, the eastern Mediterranean was dominated by the Mycenaeans, Hittites and the Egyptian empire of Rameses III. Then, in several places at once, an aggressive people of mysterious origins referred to as "the sea peoples," attacked the territories held by these empires. The invaders were defeated, but the reigning powers saw their dominance fatally weakened. In today's Mediterranean, the Chinese are the new "sea people." Their attacks are not military in nature, and their ambitions are not territorial conquest. Rather, they aim to construct a seamless route for investing in and selling their goods to the dominant commercial region of today, Europe. Chinese State Owned Enterprises (SOE's) are taking advantage of poorly performing economies (Italy) and antipathy toward the dominance of Europe (Greece, Turkey). China comes brandishing almost unlimited investment funds, and Beijing's SOEs have set up shop from Valencia to the Bosporus and from the North Adriatic to the Suez Canal. The fact that the current trade spat is about more than economics will make it much harder to manage. While China might be able to avoid a devastating trade war in the short term, the long-term trajectory of US-China relations is almost certain to be characterized by escalating tension, and potentially even a full-blown cold war. For most observers of the unfolding trade war between the United States and China, the casus belli is the convergence of China’s unfair trade practices with US President Donald Trump’s protectionist credo. But this reading misses a critical development: the demise of America’s decades-long policy of engagement with China. Almost any foreign official, businessman or journalist visiting Beijing has heard the mantra that China can’t be expected to open up its markets or meet more stringent international standards because it’s still a developing economy. Maybe that argument was valid 20 years ago. Now it’s increasingly tenuous. More importantly, it’s damaging to China and the world. Pleading poverty ignores the tremendous economic progress China has made in the last few decades. When China joined the World Trade Organization in 2001, it was the world’s sixth-largest economy and at an early stage of reorganizing state-owned enterprises to compete globally. 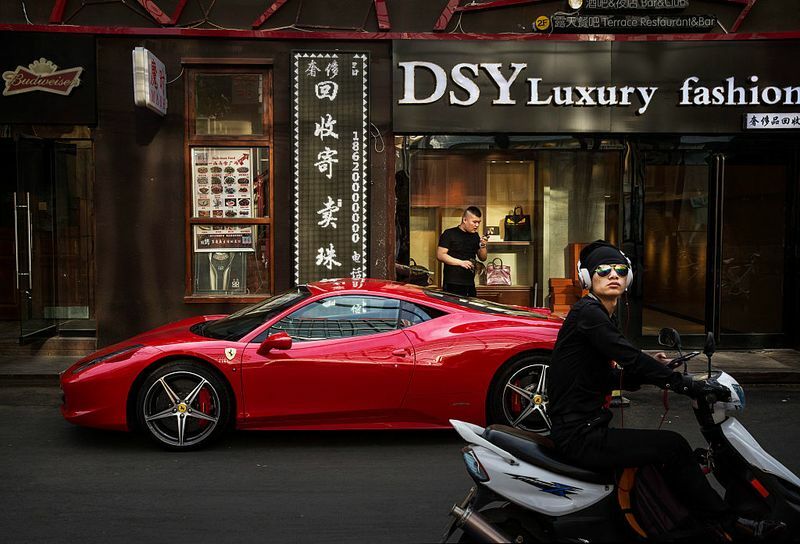 China is now the world’s second-largest economy and its largest trading nation. It’s home to some of the largest globally competitive firms, accounting for 115 of the Fortune 500 largest companies in the world in 2017. 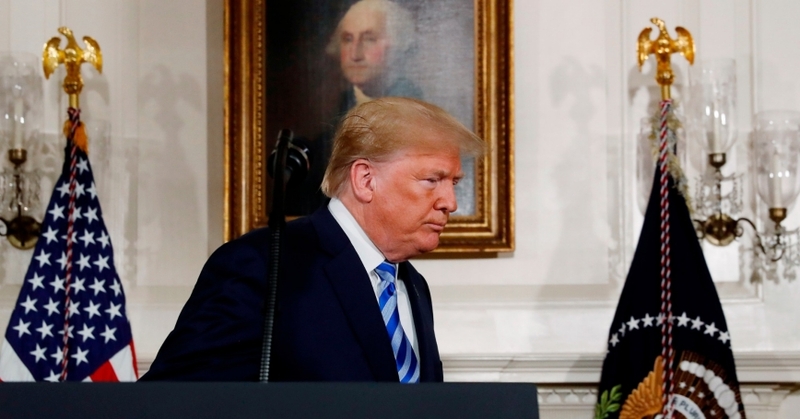 U.S. President Trump just before signing a proclamation declaring his intention to withdraw from the JCPOA Iran nuclear agreement May 8, 2018 This week, President Trump got the United States out of the Iran nuclear agreement, formally known as the Joint Comprehensive Plan of Action (JCPOA). He did this despite a lack of evidence that Iran is violating the agreement. To the contrary, the International Atomic Energy Agency has verified Iran's compliance numerous times. Whatever truth there is to Iranian misbehavior in the past—and there is very real truth to it—it is now the United States that is in violation of an agreement that the international community believes is working. 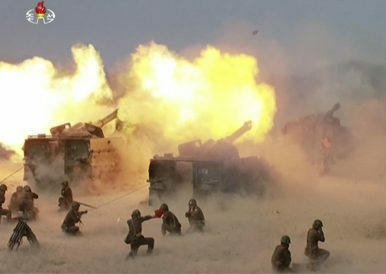 This image made from video of a still image broadcast in a news bulletin by North Korea's KRT on Wednesday, April 26, 2017, shows what was said to be a "Combined Fire Demonstration" held to celebrate the 85th anniversary of the North Korean army, in Wonsan, North Korea. That the Democratic People’s Republic of Korea (DPRK) has no intentions of giving up its nuclear arms arsenal seems clear from the outset of the much-anticipated summit between U.S. President Donald Trump and North Korean leader Kim Jong-Un taking place in Singapore on June 12. However, even if some pro-forma steps towards a complete, verifiable, and irreversible denuclearization of North Korea (or rather the entire Korean Peninsula) will be agreed upon, the media focus on denuclearization overlooks the persisting danger of North Korea’s mid-range and long-range artillery capable of unleashing a devastating level of destruction against South Korea. Why Does America Need More Troops in Europe When It Deters Russia From Afar? The head of the United States European Command and North Atlantic Treaty Organization (NATO) forces, General Curtis Scaparrotti, suggested additional resources might be needed to protect allies from Russia. Since the Cold War, America’s nuclear capabilities have been enough to deter Russia, so what has changed? Deterrence maintains peace because our nuclear weapons make an escalating war suicidal. As Secretary of Defense Robert McNamara laid out in his 1967 speech, deterrence is the “highly reliable ability to inflict unacceptable damage upon any single aggressor... even after absorbing a surprise first strike.” The assertion that more military units are needed in Europe implies that America’s nuclear deterrence is insufficient to do the job on its own. There are only two reasons why this might be the case. The first is that America has incorrectly signaled to Russia that nuclear weapons will not defend the Baltics. The second, is that President Trump’s transactional mindset and past musings on not upholding mutual defense obligations are serious and have signaled to Russia Trump’s ambivalence towards NATO. Israeli Defense Minister Avigdor Lieberman visited Moscow, on May 31, for talks with Defense Minister Sergei Shoigu and other Russian top brass. Lieberman was accompanied by several of his country’s top military officials, including the Israeli Defense Forces’ (IDF) military intelligence chief, Major General Tamir Hyman. The visit was described by both sides as highly important. It was apparently successful in promoting a deal to deescalate Israeli-Iranian tensions in Syria, with Russia acting as a major go-between and powerbroker. Shoigu was pleased and invited Lieberman to attend the May 9 grand Victory Day military parade in Moscow “next year,” since this time the Israeli defense minister could not make it (Militarynews.ru, May 31). Azerbaijan’s President Ilham Aliyev, on May 29, officially inaugurated the first phase of his country’s long-awaited flagship Southern Gas Corridor (SGC) project, through which Caspian-basin natural gas (from the offshore Shah-Deniz field) will be transported to Europe (Azernews, May 29). The new project consists of several linked pipelines that pass through Azerbaijan and Georgia (via the South Caucasus Pipeline Expansion, or SCPX), Turkey (via the Trans-Anatolian Pipeline, TANAP), and further through Greece, Albania and into Italy (via the Trans-Adriatic Pipeline, TAP). In the initial operational phase of the SGC, 6 billion cubic meters (bcm) of natural gas will annually be transported via Turkey to Europe, and those volumes will be increased to 10 bcm after 2020. Reportedly, the volumes will be expanded to 31 bcm after 2026, if additional gas compressor stations are constructed. This past year, the United States has witnessed a greatly increased threat from North Korea. U.S. intelligence has now confirmed that North Korea not only possesses up to sixty nuclear warheads, but it has developed the miniaturization technology required to mount them atop a number of different types of intercontinental ballistic missiles (ICBMs), which it has tested over the past year. Dr. Peter Pry, who served as chief of staff to the Commission to Assess the Threat to the United States from Electromagnetic Pulse (EMP) Attack, which Congress unwisely chose to disband late last year, currently serves as Executive Director of the EMP Task Force on National and Homeland Security. He told Congress that there is the possibility that Pyongyang has deployed two “super EMP” satellites in low-earth orbit over the continental United States which, if detonated over the country without warning, could kill up to 290 million Americans within a year. Opportunities — together with greater responsibilities — will come with France’s unique position in Europe’s defense and security following “Brexit.” As the EU’s sole nuclear power and member of the UN Security Council, and with its strong bilateral ties with London, Washington, and Berlin, France currently enjoys a central position in the European security architecture. Even ahead of Brexit, France has been awarded the position of leader and diplomatic bridge-builder, a role that President Macron has fully seized. His visit to President Trump’s White House in April 2018 was a case in point. However, this position raises a number of dilemmas for France in engaging in defense cooperation in the Euroatlantic area, and it will not be simple to define a consistent strategy. This policy brief examines the expected effects of Brexit on military partnerships and capability development, and assesses the prospects for an effective French synthesis and leadership in this context. The alliance between the United States and Western Europe has accomplished great things. It won two world wars in the first half of the 20th century. Then it expanded to include its former enemies and went on to win the Cold War, help spread democracy and build the highest living standards the world has ever known. President Trump is trying to destroy that alliance. Is that how he thinks about it? Who knows. It’s impossible to get inside his head and divine his strategic goals, if he even has long-term goals. But put it this way: If a president of the United States were to sketch out a secret, detailed plan to break up the Atlantic alliance, that plan would bear a striking resemblance to Trump’s behavior. June 11 (UPI) -- The value of bitcoin fell dramatically Monday after a cyberattack on a South Korean cryptocurrency exchange caused the market to plummet 30 percent. The value of bitcoin lost $500 on Luxembourg cryptocurrency exchange Bitstamp in one hour -- falling to a price of $6,627 -- after the currency exchange Coinrail reported the theft. Although the attack involved altcoin, a lesser known cryptocurrency, officials said prices of all cryptocurrencies fell. Coinrail said in a statement it suspended digital currency trading and is cooperating with authorities. About $19.5 million in altcoin was stolen.While South Korea has become a hotbed of trading in cryptocurrencies, Coinrail is among South Korea's smaller trading platforms. Analysts said the attack highlights the weak regulation and security of the industry. Prof. Jeremy Black studied at studied at Queens’ College Cambridge, St John’s College Oxford, and Merton College Oxford before joining the University of Durham as a lecturer in 1980. There he gained his PhD and ultimately his professorship in 1994. He joined Exeter University as Established Chair in History in 1996, and is currently a Templeton Fellow at the Foreign Policy Research Institute. His recent publications include War in Europe: 1450 to the Present, Geopolitics and the Quest for Dominance and A Century of Conflict: War, 1914-2014. This post is drawn from a forthcoming work, War and its Causes, which will be published by Rowman and Littlefield in late-2018. Army Mission Command, significantly influenced by German concepts of Mission Orders, Auftragstaktik, Schwerpunkt, and the Truppenfuehrung (the Wehrmacht’s WWII field manual), emphasizes subordinate initiative within the framework of commander’s intent. Combined with the Army Operating Concept, Mission Command reflects a now-codified common-sense approach to command in a complex environment. However, fully implementing Mission Command within the Army remains a challenge on both conceptual and practical levels. Conceptually, leaders fail to understand how to develop the mutual trust Mission Command requires while subordinates resent any oversight as micromanagement. Practically, Army systems inhibit Mission Command by demanding precision and instantaneous results.